This project is the cultural exchange between Portland and Japan. In April, youth taiko group, Koseisen from Osaka Japan visit Portland and had a collaboration concert . 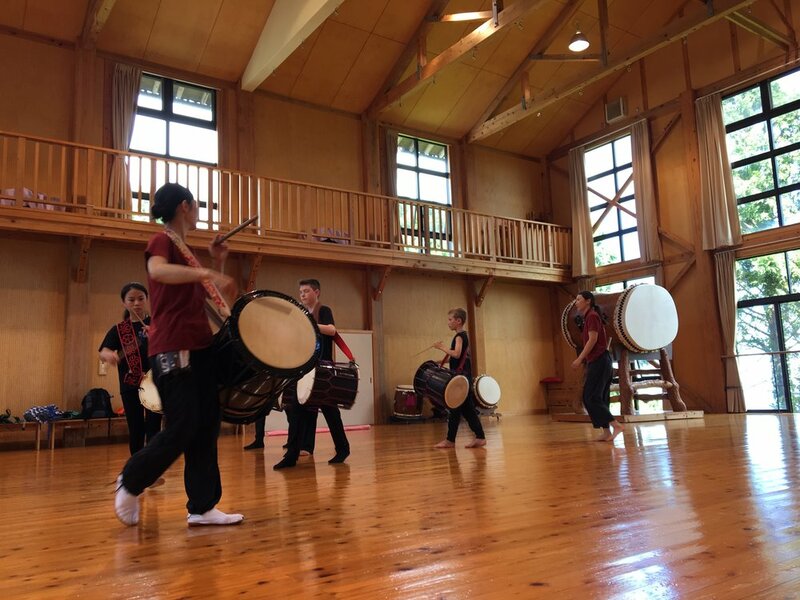 In August, en Taiko students traveled to Sado island, Osaka and Wajima in Japan. 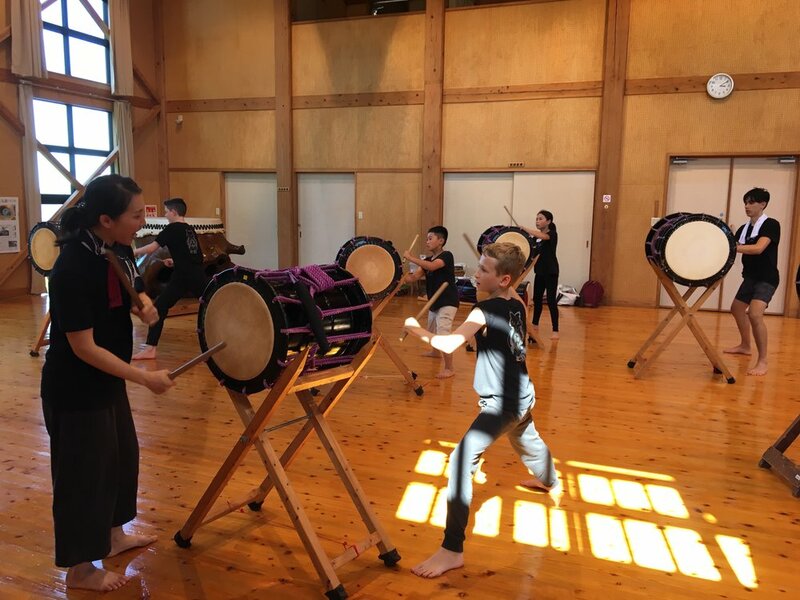 en Taiko students took workshops from KODO members and learn deeper taiko education. en Taiko visit Koseisen had a performance together as well as having a workshop by Yasuhiro Yoshimura. Gojinjo-daiko in Wajima is the story en Taiko has been doing story telling for library shows for last 10 years. 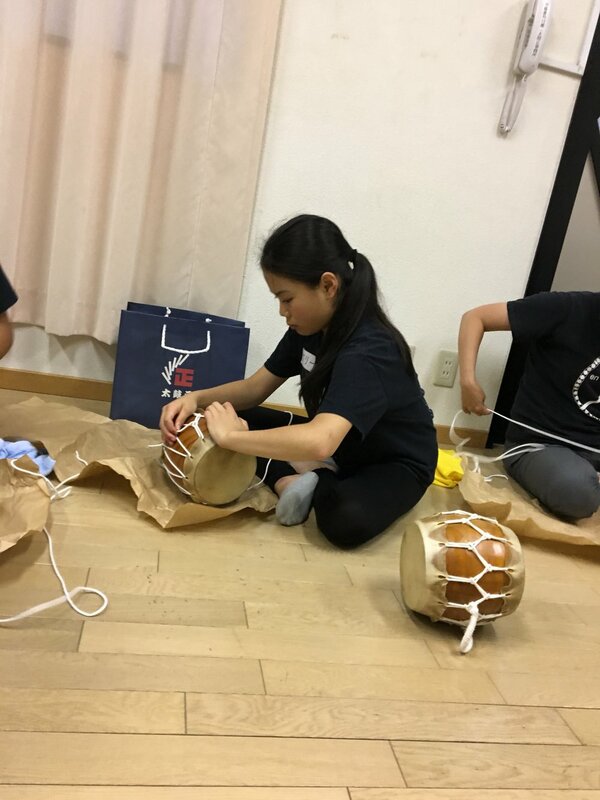 This trip was including to learned the basic of taiko making from Taiko Masa store in Osaka. 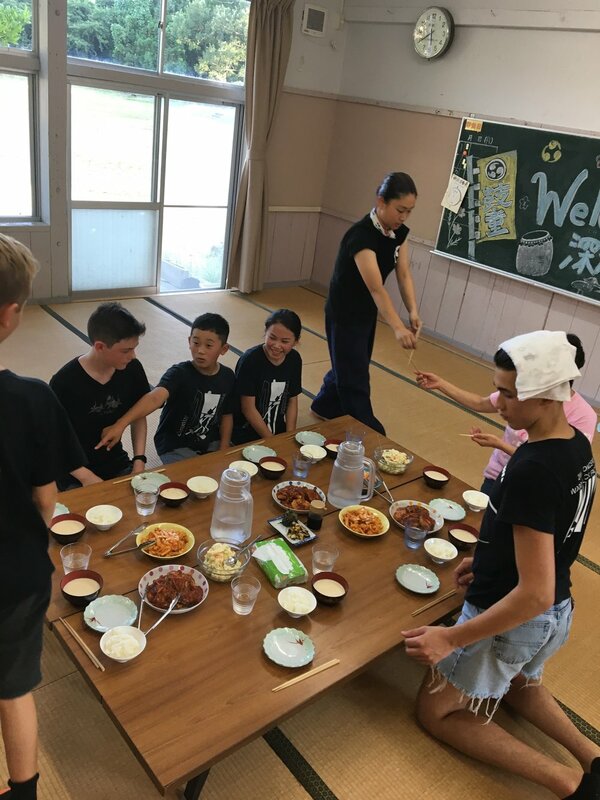 Koseisen and en Taiko had a first time to exchange program this year. Playing taiko for 10 years sounds like a long time to many people however, it is a very short amount of time. After going to Japan and participating in the trip my knowledge on taiko has expanded. Although thru out the trip we learned many skills, the biggest thing I have learned is the importance of community. After visiting KODO on Sado Island and attending two workshops I learned how important community is and most importantly how important the connections you have with your fellow performers are. Building a relationship and trust between fellow performers was something that helps bring everyone together but also helps makes the performances better. Making sure you convey the right emotion and the right energy to the audience is something that everyone struggles with and I think after this Japan trip everyone has more of a connection with each other making it easier and even more fun for us to play with each other. After spending a week with everyone and then coming back to the US and playing together I can see everyone grew in skill but most importantly I see everyone has a stinger connection with each other. That to me was the best part of the trip. The best parts of the entire Japan trip were playing taiko with so many people in Japan. We even got to go and take workshops from KODO. 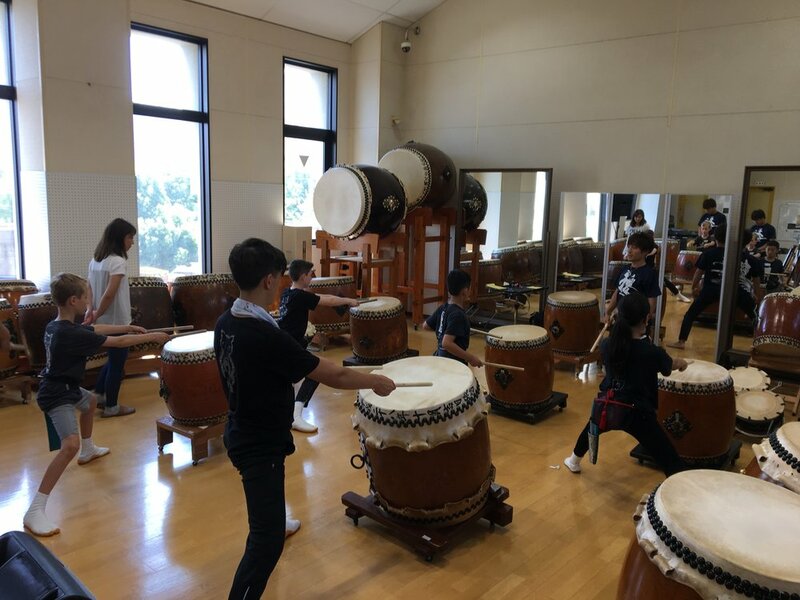 Because of our training sessions and performances in Osaka, and KODO I learned a lot about working hard and working as a team across cultures. What I noticed that Japanese performers typically do songs where everyone plays similar parts, which makes the group look synchronized, and sound very coordinated. Through the process of practicing with Koseisen, we became more unified. Koseisen and en Taiko were close friends, which came through in our taiko exchange programs this year. We were all smiling together and having fun and getting into the groove. This created music that sounded really moving. On the Japan trip I learned the value of teamwork. One example would be at Kodo on Sado Island. Most groups that visited were supposed to break into 3 groups and each group would clean 1 of the following: the halls, the bathroom, and the restroom. The people at Kodo said because there were only 6 of us we only had to clean the halls but when we worked together we finished it all. My highlight of the trip was after we had just had a day of workshops and we were all very tired and happy. It was our last day at Kodo so we were having a barbecue. There were yakisoba,fried rice balls and a wide variety of drinks. We talked about taiko in Japan and in the U.S. We also lit sparklers. This was a lot of fun. I have a lot more confidence because before the trip I didn't know what to expect but on the trip I learned a lot about Japanese culture and taking care of myself. If I go again I won't be very nervous. This trip is something I will never forget. Before going to this taiko trip, I was very nervous because we were going to visit Kodo, the best taiko group in the world and Koseisen, the amazing youth taiko group. But I learned that it was important to communicate with people in these groups to understand them better. At a taiko lesson in Osaka, the taiko teacher Mr. Yoshimura taught us more ways to hit taiko. It was a great lesson for me because I could use different technics to help me get better. My highlight at Kodo was to clean the hallways using cloth. It was hard and very tiring. We experienced what they usually do every day. During my homestay in Osaka, I spent a lot of fun time talking in Japanese and playing video games together. We knew a lot about each other, and I felt like I became a member of their family. After this Japan trip, I got more confidence in myself after practicing, performing and eating together with my taiko friends and the people I met in the taiko trip. We visited Taiko Masa, a well-known taiko maker in Osaka, and each of us made a miniature version of nagado taiko. We made it by threading rope around holes in cow skins and tightening skins on taiko body by pulling rope by hand. It was very tiring to pull rope! When I finished, I was so proud of myself and thinking about en Taiko volunteers, who made several taikos for us before. Now, I understand how much they spend energy and time to make taikos to help us. We stayed at one of Koseisen players. 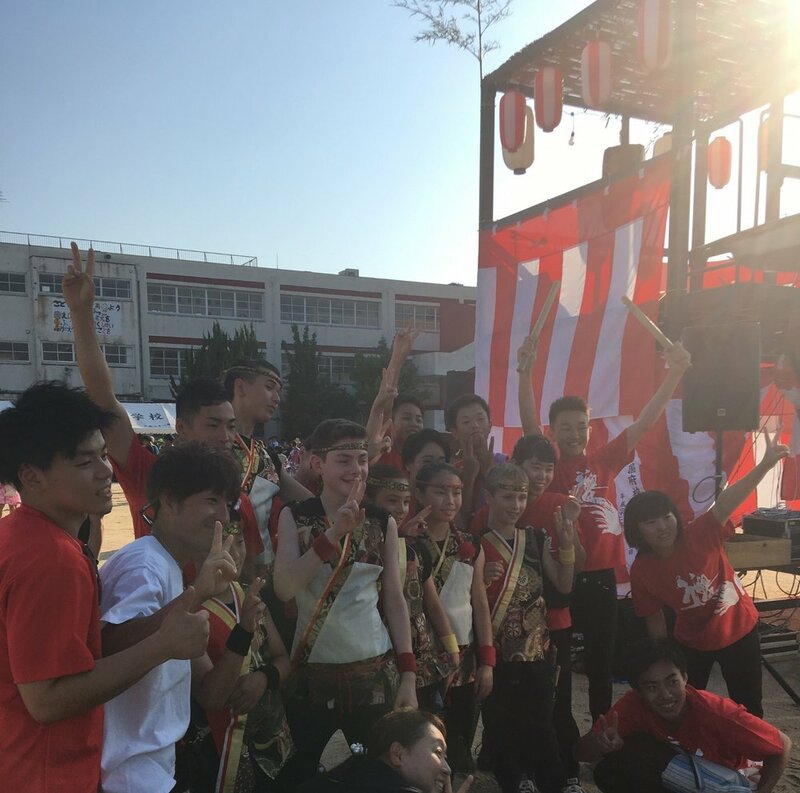 We practiced and performed together with players at public events such as bon odori dancing. When practicing with them, we all had to cooperate to be able to do so many things in such a short amount of time. All were possible because of the spirit of hospitality, help and cooperation. I'm very excited for the next time en Taiko will host Koseisen in Portland.